The purpose of this study is to investigate the impact of teacher education by examining instructional visions of graduates from a teacher education program, 2 or 3 years post-graduation. An instructional vision is a teacher’s idealized image of teaching practice, encompassing aspirations and hopes of what could occur in her classroom. 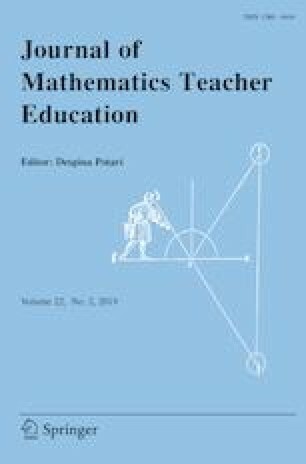 We conducted an inductive analysis of participants’ self-reports of: (1) their instructional visions for teaching elementary mathematics, (2) whether their visions changed over time, (3) whether teacher education influenced changes in their visions, and (4) what their teacher education program promoted as an ideal instructional vision. We administered an open-ended questionnaire to 81 graduates from two cohorts of the same teacher education program. Using latent class analysis, we identified three profiles. Two profiles (89% of the participants) appeared to align with teacher education, suggesting more than one manifestation of the impact of teacher education. Our results indicated alignment between instructional visions and teacher education experiences with respect to teaching mathematics for conceptual understanding and engaging students in productive struggle. A contribution of this study is an awareness that teacher education programs could impact the instructional visions of their graduates in more than one way, with different subsets of intended visions remaining as residue. We conjectured that experiencing instruction that aligned with these instructional visions as learners while in teacher education influenced the development of these graduates’ visions. The research reported was supported in part by the National Science Foundation under Grant DRL-0909661. Any opinions, findings, and conclusions are those of the authors and do not necessarily reflect the position, policy, or endorsement of the granting agency. The first author would also like to thank AnnaMarie Conner for feedback on an early draft of this work, and she would also like to acknowledge appreciation for the educative nature of reviews received on this manuscript. R Core Team. (2014). R: A language and environment for statistical computing. Vienna: R Foundation for Statistical Computing. Retrieved from http://r-project.org.